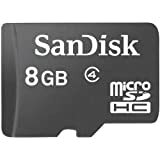 Kingston Digital 32 GB SDHC Class 10 U..
SanDisk Cruzer 4GB Pen Drive (Black &a..
Sandisk Ultra Fit 128 GB USB 3.0 Pen D..
Microware Metal Guitar Shape 16GB Pen ..
Microware 16GB Ground Nut Shape Design..
Sandisk Ultra 64GB 80MB/S Class10 SDXC..
Buy memory cards online from shopping sites with big discounts and cashback offers. Memory cards have become obsolete for smartphone and tablet users as internal storage spaces get filled up quick with useful applications, big media files, and other files. However, the option for expandable storage always comes handy and memory cards can amp up the memory of devices in the simplest possible way. Memory cards are extremely light and the most easily portable of all the storage devices. You can check out memory card price across various online shopping sites and offline retailers to grab the best deal. The storage capacity of these cards start from 128MB and can go up to 256GB. Grab the best memory card offers to save more on memory card purchases at leading shopping sites. The top-rated brands in memory cards are SanDisk, Sony, Kingston, Transcend, and Strontium. There are also different types of memory cards, each suited for specialized specific needs. These include compact flash cards, MicroSD cards, MMC cards, SDHC cards, and more. 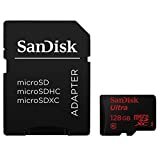 SD memory card Get big deals on memory cards during mobile accessories sale at online retailers and save huge on your purchases. The best time to buy memory cards will be when there is an accessories sale at retailers. You can make use of coupons and promo codes to get good discounts on your online purchase and to hence save maximum on accessories shopping. Often times memory card combo offer give the best savings on online shopping. You can shop for SD memory card along with pendrives to get the best bang for your buck on both the accessories. Choose to get 16GB or 32GB pendrives along with memory cards to save more. Check out SanDisk pendrive 16GB price before and after the combo deal to ensure you save maximum. Also, be on lookout for cheap memory cards offers and deals from online shopping sales. The most common storage capacities for memory cards are 16GB, 32GB, and 64GB. Use 16GB memory card offers and 32GB memory card offers for best deals on memory cards with such storage spaces. Snapdeal memory cards deals can be made use of to get lowest prices on memory cards from Snapdeal online shopping. Memory cards can be differentiated not only on the basis of capacity and usage, but also on the basis of their read and write speeds. Class10 memory cards are the most common memory cards with above average read and write speeds. 32GB memory card and 16GB memory card are both available with 10MB/s writing speed. Data storage devices online offers can be availed for price deductions on 16GB and 32GB memory cards. Save more on memory card purchases with discounts and added cashback deals. While different memory cards are suited for different devices, the most commonly purchased ones are the ones for smartphones and cameras. Smartphones, tablets and other similar devices have a single kind of memory card while there are different memory cards for cameras. These cards are quite big when compared to the ones used in mobile phones. Camera memory cards are also pricier than other memory cards. 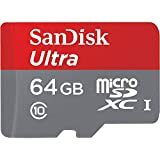 Have a look at camera memory card price at online shopping sites to use discounts and offers and get big price reductions. While 8GB memory card and memory card of lower storage spaces seem out of contention forever, there are times when you need a small amp up for your already big internal storage devices and hence at times as these, 8GB memory cards come handy. It is best to buy memory cards online from shopping sites rather than from retail stores. There are regular discounts and offers online and with the use of cashback sites, you can save extra while purchasing memory cards or other mobile accessories.